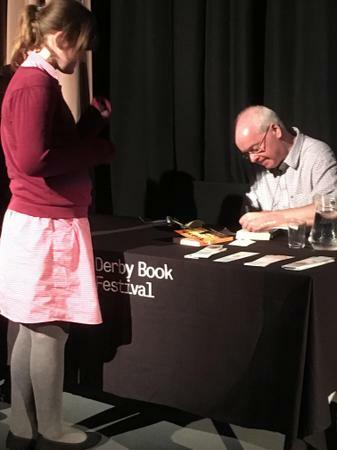 On Thursday morning, a group of Year 6 pupils set off to The Quad to take part in the Derby Book Festival where they got to meet Andy Mulligan, the author of 'Trash' and 'Ribblestrop'. The children found out about the inspiration behind Andy's books with stories from his life as a teacher in different parts of the world. They even got to have books signed by the author. The children were a credit to our school - well done to all those selected to take part and a big thank you to Mrs Kinder and Miss Keal for organising the trip. Next week, a group of children in Key Stage 1 get the chance to meet children's author, Lauren Child.